A visit to bottom club Huddersfield Town on Sunday will alert Fantasy Premier League managers to Manchester City targets ahead of Gameweek 23. 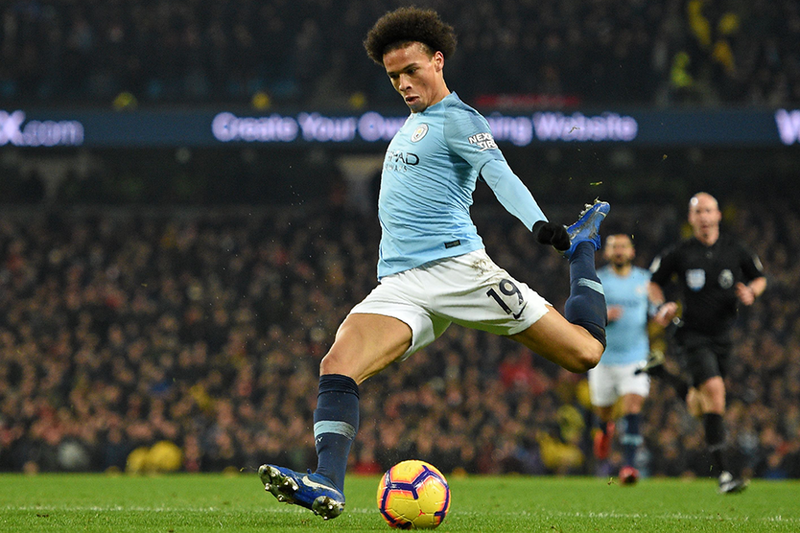 City winger Leroy Sane (£9.6m) is the fifth-most signed player so far this week and is one of the leading captaincy options ahead of Saturday's 11:30 GMT deadline. The FPL panel of experts have their say as to who to choose for the armband. Holly Shand (@FFCommunity_): Salah will turn up with his obligatory haul once more but I fancy Sane to outperform him this week. Man City beat Huddersfield Town 6-1 earlier this season and with David Wagner having departed, it will be an uphill struggle for the Terriers at the John Smith's Stadium. WGTA (@WGTA_FPL): Like many, I'm now following the Salah perma-captain route. Paul Pogba (£8.5m), Marcus Rashford (£7.5m) or Raheem Sterling (£11.3m) could be great shouts though, given the improving form of both Manchester sides. Ben Crabtree (@FC_CrabDogg): I'm on Sergio Aguero (£11.2m) and will stick with him if Pep Guardiola suggests he'll start. Pogba and Rashford are joint vice-captains at the moment. I might make a late switch to either of those. Paul Gee (FplPaulGee): Man City against a managerless Huddersfield could run riot. Sane and Sterling are the picks. I'd stay away from Aguero as Gabriel Jesus (£10.1m) is keeping him out at the moment. Sam Bonfield (@FPLFamily): Salah is, of course, the obvious pick and I imagine he will be the highest-captained player. Pogba has scored twice in each of his last two at Old Trafford and could surpass the Egyptian though. Ben McNair (@drbenmcnair): Anyone not handing the armband to Salah will be taking a huge risk. However, if James Milner (£5.6m) returns to cover for injuries at right-back, he could dislodge Salah from penalty duties. I think Man City players are the best alternatives. Sane or Kevin De Bruyne (£9.7m), who impressed in a cameo last weekend, look the safest options this week.